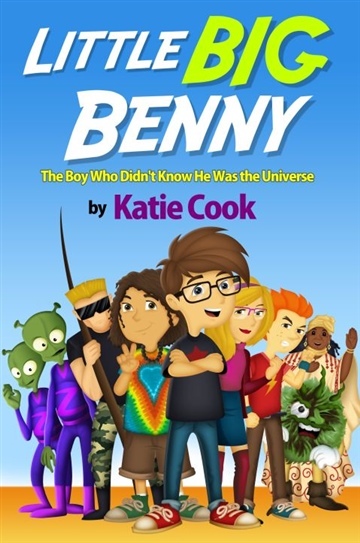 Little Big Benny: The Boy Who Didn't Know He Was the UniverseThis is the story of a boy who didn't know he was the universe. Benny Armstrong Jr. is very curious about the world around him, but what he doesn’t realize is that he plays host to an incredible world that exists within him. It’s a world full of colorful characters like The Floofs of Lintopolis, The Beats of Hipville, the Joymen of Lightville, The Buds of TasteTown, and the Zuzus of Jamaland. They are no more aware of him than he is of them, but they have a profound effect on one another. His every move is monitored by aliens called Zetas that like to wreak havoc in Little Benny’s world. Between the school bully, Leo, and the girl of Little Benny’s dreams, Lora Lee,The Zetas never run out of scenarios to cause upheaval in Little Benny’s world. Nothing is quite what it seems!